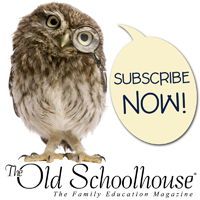 The Old Schoolhouse®, the trade magazine and a top resource in home education since 2001! The company endeavors to provide the tools and encouragement you need to help you stay the course on your homeschool journey. 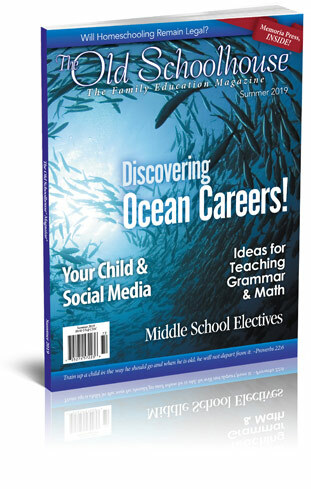 The Old Schoolhouse® Magazine, available in both print and digital formats, contains over 120 pages per issue of informative articles, teaching units and ideas, cutting-edge interviews with key players inside the industry, product reviews, resource directories and curriculum guidance. 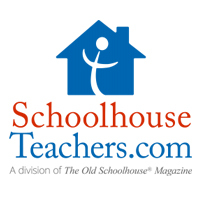 SchoolhouseTeachers.com is the curriculum site for The Old Schoolhouse®. With over 400 courses, all the planning and recordkeeping resources you could ever need, and access to 450+ videos and World Book Online, there is something for everyone in the family! SchoolhouseTeachers.com Members Forum is the place to get creative homeschooling ideas, ask questions, pray for each other, and share household tips. SchoolhouseTeachers.com Facebook Community is a public group for anyone who is a SchoolhouseTeachers.com member or thinking about becoming a member. Find out whether SchoolhouseTeachers.com is a right fit for your family, get the most out of your membership, meet the teachers and staff, and stay up-to-date on sales and special offers. 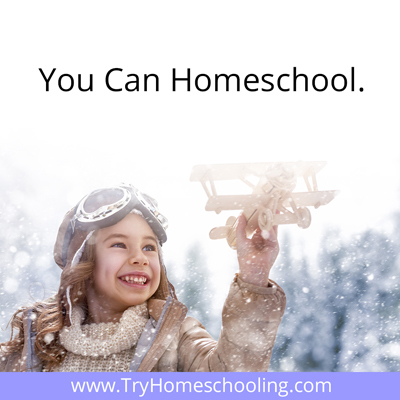 Homeschool Connect puts you in touch with events, support groups, and laws for homeschooling in your state. A Homeschool Welcome Basket of goodies is also waiting for you! 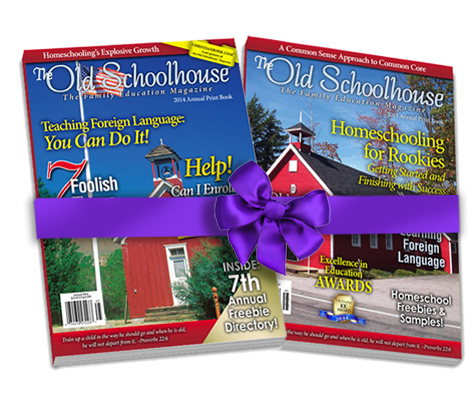 Schoolhouse Store is filled with eBooks, past issues of The Old Schoolhouse® Magazine, and other great TOS exclusive products, like the Schoolhouse Digital Planners and TOS tote bags. Homeschool Review Crew tests and reviews dozens of homeschool products annually. Crew members blog about their experiences with those products, so you can be informed before you buy! The Homeschool Minute™ weekly E-Newsletter is packed with themed articles, including “Hey Mama” inspiration from The Old Schoolhouse® Director and Publisher, Gena Suarez. 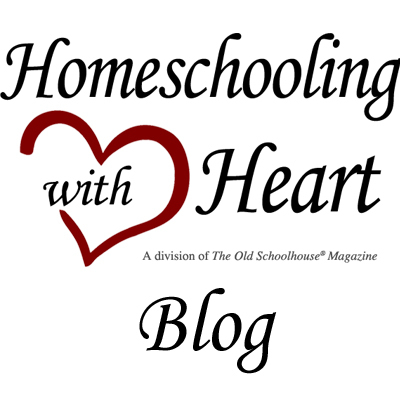 Homeschooling with Heart Blog posts give brief nuggets of wisdom, encouragement, and fresh ideas. 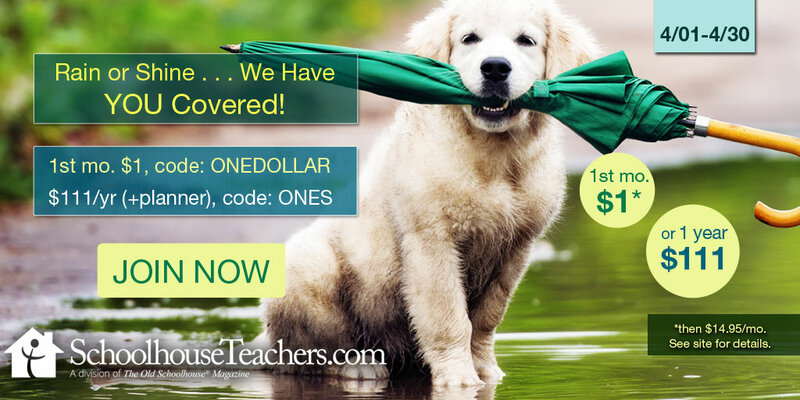 Opportunities to become an affiliate, advertise with The Old Schoolhouse®, and write for SchoolhouseTeachers.com are also available! 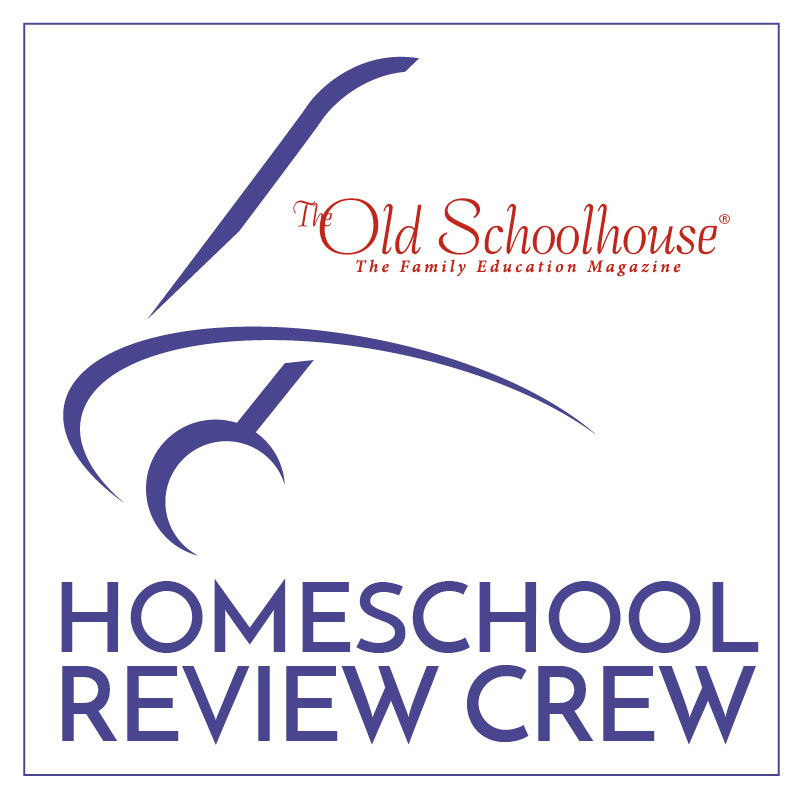 Come on in, look around, and discover the benefits of homeschooling with The Old Schoolhouse®! • In print – four large issues per year – subscribe here. • Interactive/Digital – quarterly– no purchase necessary. GO to TOSmagazine.com or TOSapps.com. What is The Old Schoolhouse® Magazine? Click the video below to learn about your trade magazine! You can with SchoolhouseTeachers.com! Check out the video! Per FAMILY, no Matter the Size. No Added Fees, No Textbooks to Buy. Members have Access to World Book! Just $5 for the First Month! "I think SchoolhouseTeachers.com is the best money I've spent on homeschooling this year. I'm doing American History with my 7th grader and he is just loving these videos! Still Not Sure You Should Homeschool? Come pick up your free info-pack HERE. Find your state laws HERE. 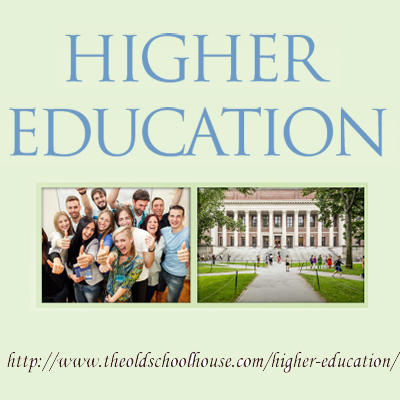 Interested in Advertising to the Homeschool Market? 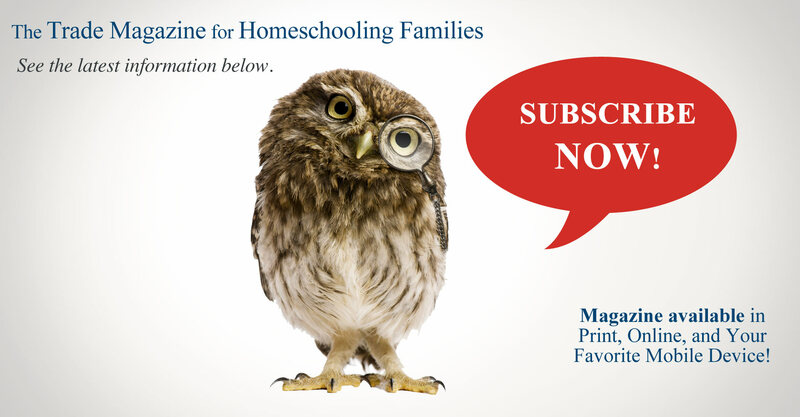 Join The Homeschool Minute email list today and find out about the latest news going on in the homeschool community while being inspired, encouraged, and educated. Oh — and lots of freebies will be given along the way! Join The Canadian Homeschool Minute email list today and find out about the latest news going on in the homeschool community while being inspired, encouraged, and educated. Oh — and lots of freebies will be given along the way!